Why the GBIC module is unable to adapt the trend of rapid development of the network? The GBIC module was widely used in switches, routers and other network products. For example, as our familiar Cisco and Nortel and other manufacturers, their old-fashioned switches and routers used GBIC fiber optic modules widely. 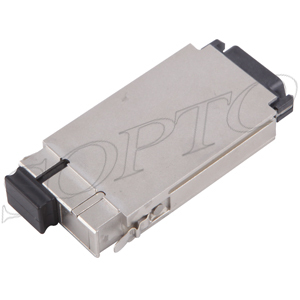 Compared with the older generation 1X9 fiber optic transceiver, the GBIC module has a very distinct advantage. Its advantage is that it supports hot-plug so that the GBIC module becomes an independent module. In this way, the users are more convenient to update and maintain the optical module by using the GBIC module. However, with the continuous development, the requirement of fiber optic transceiver is improved continuously. And the weakness of the GBIC module is gradually emerged. The main drawback is too large, which resulting in the optical interface density of the service board is smaller. And the board card cannot accommodate a sufficient number of GBIC modules. These weaknesses make the GBIC module unable to adapt the trend of rapid development of the network.